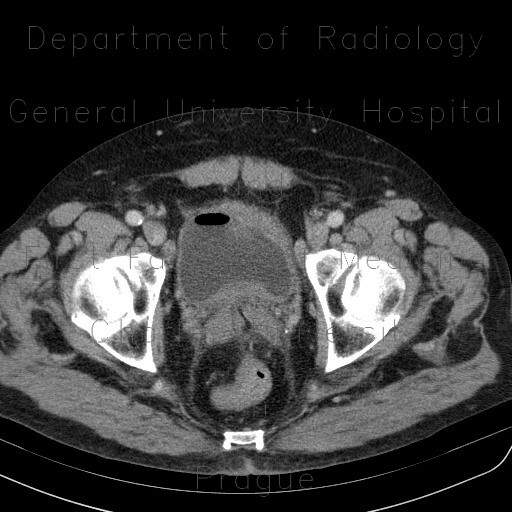 CT shows marked irregular thickening of a long segment of sigmoid colon and an adjacent infiltrate that extends into the thickened roof of the bladder. Apart from urine, an air bubble can be found in the bladder indicating the presence of a colovesical fistula. The fistula was confirmed on ureterocystography, which also showed vesicoureteral reflux on the left side.